I found this guest post over at Skip to My Lou with this most brilliant idea. These "lunchable" jars stack on top of one another and seal to close. 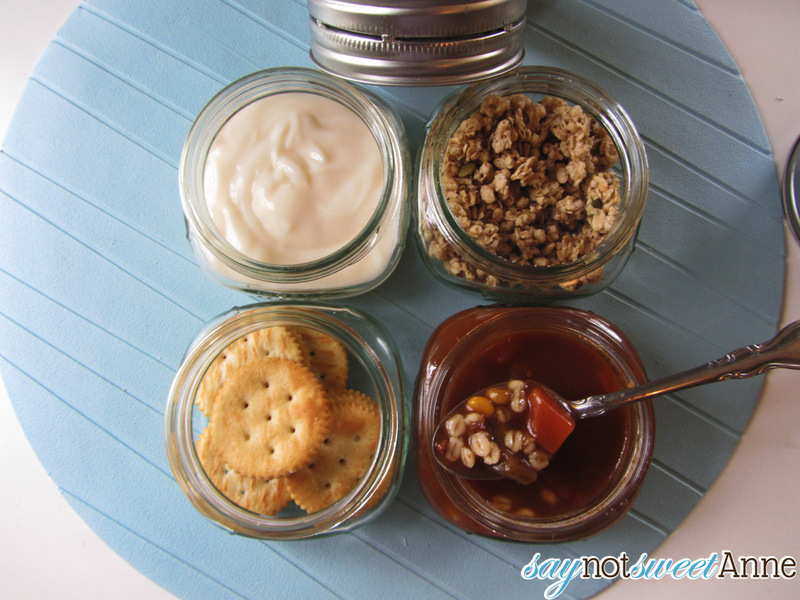 You can pack your lunch in mason jars and keep it from spilling. There are a variety of combination ideas in the post plus the tutorial for connecting the jars. Click here to make your own DIY lunchable jars this weekend. Be sure to click over to the original post before pinning the above image.